Here at Madia Law, a huge number of the clients we serve are people that have been injured while at work. In Minnesota, your employer must pay for your care if you are injured at work. 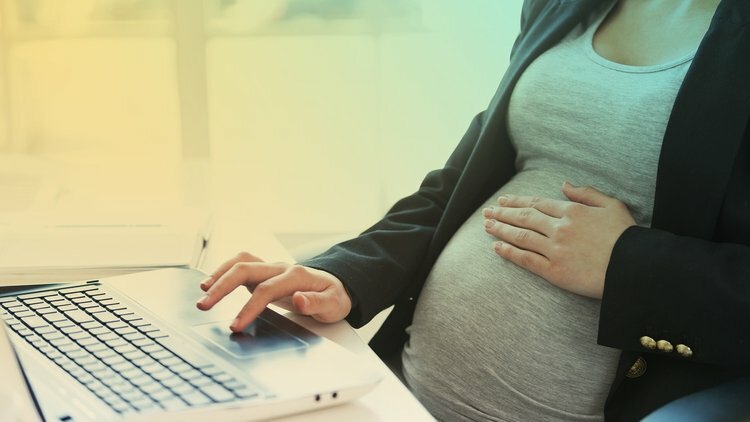 Employers in Minnesota are required to carry workers’ compensation insurance and use that insurance when an employee has been injured on the job. That said, the first thing you need to do if you’ve been injured on the job is report the injury to a supervisor. Now – let’s be careful here: Most employers have policies and procedures around when and how to report workplace injuries. 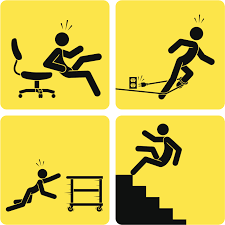 Most employers require you to report injuries to a supervisor as soon as they happen no matter how small the injury. Make a commitment today, after reading this post, to look at your employee handbook and read the workplace injury policy. Familiarize yourself with this policy, commit it to memory, so you know exactly what is expected of you if you get injured. Even if you don’t know your employer’s specific policy, however, make sure to report all workplace injuries to a supervisor as soon as you are able to do so. 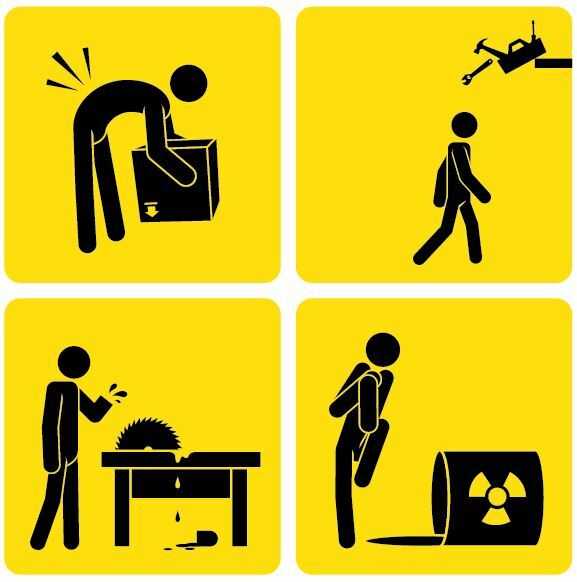 After you’ve reported the workplace injury, follow your employer’s instructions about what to do next. What if my employer won’t pay for my treatment after I’ve been injured on the job? In the event that you report your injury to your employer and your employer doesn’t let you fill out paperwork to file a workers’ compensation claim, you’ll need a workers’ compensation attorney. While we aren’t workers’ compensation attorneys here at Madia Law, we have great relationships with a variety of workers’ compensation attorneys and would be happy to connect you with someone. What if my employer fires me after I’ve been injured? Your employer is not allowed to fire you because you got injured on the job. For that matter, your employer is not allowed to treat you in any negative way because you’ve been injured on the job – that means that your employer is not allowed to demote you, cut your hours, cut your pay, or terminate you because you’ve been injured. If you feel you’re being treated differently because you were injured on the job, call us at Madia Law for a free consultation. What if my employer won’t accommodate my physical limitations after I’ve been injured? If you have physical limitations or are disabled as a result of your injury, your employer must try to accommodate the physical limitations attendant with your recovery or disability. If your employer refuses to provide you with any accommodations, call us at Madia Law for a free consultation. Just last week, I complained that courts are too often rubber-stamping excessive police force. On cue, the Minnesota Court of Appeals issued a great decision today for Minnesotans who care about police accountability. 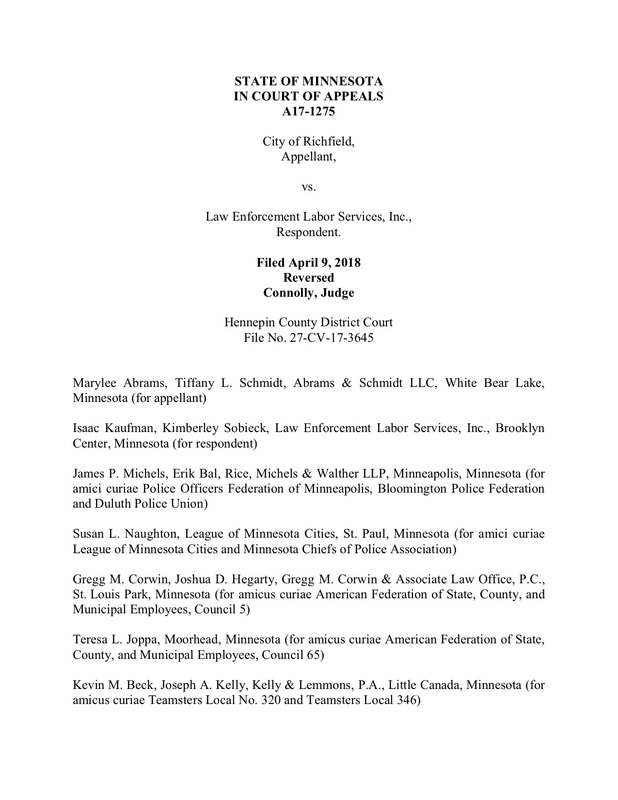 In City of Richfield v. Law Enforcement Labor Services, Inc. (on behalf of Nathan Kinsey), the Court of Appeals overturned an arbitrator’s decision to reinstate Nathan Kinsey, who was fired by the City of Richfield police department for repeatedly failing to report use of force. We agree that Kinsey’s repeated failure to report his use of force makes him a serious risk to public safety and the interest of the public must be given precedence over the arbitration award reinstating him. Reinstating Kinsey—an officer who admittedly failed to report his use of force when he should have and has had prior offenses and warnings regarding the same duty to report—interferes with the RPD’s legal obligation to establish and enforce minimum standards of conduct for its police officers. Specifically, it interferes with the clear public policy in favor of police officers demonstrating self-regulation by being transparent and properly reporting their use of force. Further, the arbitration award interferes with the public policy against police officers using excessive force because the only way a city and police department can successfully uphold that public policy is if they are given the opportunity to review occasions involving the use of force. We are aware that our decision today is only the second time this court has vacated an arbitration award involving the reinstatement of a Minnesota Police Officer because of a violation of public policy. See Brooklyn Center, 635 N.W.2d 236 (applying the public- policy exception to vacate an arbitration award that reinstated a Minnesota Police Officer for the first time). We do not take this action lightly, but rather thoughtfully and unanimously. Nevertheless, we are obligated to follow the law. To do otherwise would violate a well-defined and dominant public policy by jeopardizing public safety and undermining public trust in law enforcement. The increasing trend by courts–and the Supreme Court in particular–to deny victims of police violence from even having a chance to tell their case to a jury is more than a simple reflection of privileged deference to the police by folks on all sides of the political spectrum. It is evidence of a consistent judicial effort to put a nearly insurmountable thumb on the scales of justice. I’m fairly confident that Justices Sotomayor and Ginsburg aren’t the only Supreme Court justices who fully understand the summary judgment and qualified immunity standards. It seems they are, however, the only ones who are consistent and honest about those standards in cases alleging excessive force. It is one thing for a judge to personally believe officers’ versions of the facts in the face of contradictory evidence. It is quite another for them to personally decide the case by acting as if there is no such contradiction when there clearly is, or by continually moving the qualified immunity goal posts as they go. Myriad problems already stand in the way of our society’s ability to demand police accountability–a largely apathetic and ambivalent citizenry, the disappearance of independent police oversight, overly powerful police unions, mass non-prosecution of criminal conduct by police officers, and more. An intellectually dishonest judiciary can only serve as the poison cherry on top of a steaming pile. It must stop. Our failure to correct the error made by the courts below leaves in place a judgment that accepts the word of one party over the word of another. It also continues a disturbing trend regarding the use of this Court’s resources. We have not hesitated to summarily reverse courts for wrongly denying officers the protection of qualified immunity in cases involving the use of force. But we rarely intervene where courts wrongly afford officers the benefit of qualified immunity in these same cases. 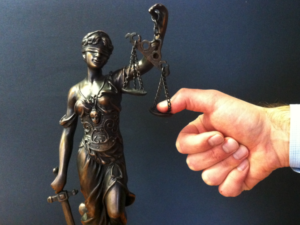 The erroneous grant of summary judgment in qualified-immunity cases imposes no less harm on society as a whole than does the erroneous denial of summary judgment in such cases. We took one step toward addressing this asymmetry in Tolan. We take one step back today. –Justice Sotomayor in Salazar-Limon v. City of Houston, Tex., 137 S. Ct. 1277, 1282–83, 197 L. Ed. 2d 751 (2017) (internal citations and quotations omitted)(joined by Justice Ginsburg). This unwarranted summary reversal is symptomatic of a disturbing trend regarding the use of this Court’s resources in qualified-immunity cases. As I have previously noted, this Court routinely displays an unflinching willingness to summarily reverse courts for wrongly denying officers the protection of qualified immunity but rarely intervenes where courts wrongly afford officers the benefit of qualified immunity in these same cases. Such a one-sided approach to qualified immunity transforms the doctrine into an absolute shield for law enforcement officers, gutting the deterrent effect of the Fourth Amendment. The majority today exacerbates that troubling asymmetry. Its decision is not just wrong on the law; it also sends an alarming signal to law enforcement officers and the public. It tells officers that they can shoot first and think later, and it tells the public that palpably unreasonable conduct will go unpunished. Because there is nothing right or just under the law about this, I respectfully dissent. –Justice Sotomayor in Kisela v. Hughes, No. 17-467, 2018 WL 1568126, at *14 (U.S. Apr. 2, 2018) (internal citations and quotations omitted)(joined by Justice Ginsburg). What do I do if I’ve been injured on the job?